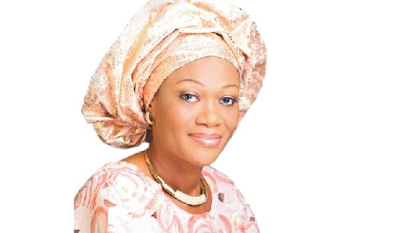 Senate Committee Chairman on Environment, Sen. Oluremi Tinubu has said the committee in three years will sponsor a bill banning vehicles that run on Premium Motor Spirit (PMS). Tinubu said it is the responsibility of the Senate to promote legislative superstructure that will help the nation achieve Green economy. She spoke at the 10th Anniversary of National Environmental Standards and Regulations Enforcement Agency (NESREA) and 11th National Stakeholders’ forum themed: “Environmental Governance, a key to achieving green economy,” held at the weekend in Abuja. She said: “When we are discussing the environment and greening the economy for sustainable development, there has to be a legislation on ensuring all industries in Nigeria are running on green fuel, solar energy and other alternative systems. “We need to strengthen NESREA. We also need a law that says in the next three years, all automobiles in Nigeria must use gas and other non-fuel systems, fuel cells, solar power and the rest. “The time to set the framework is now, if we don’t do that now we would delay dooms day, other countries have setup their green policies economies and Nigerians cannot drive their cars to such countries. India today, all the tricycle and all the public transport systems go on compressed gas. “The standard needs to be set in Nigeria. The European Union (EU) have set their own standards that in less than 10years, we would not have anything to do with petroleum products as sources of fuel except compressed natural gas or natural gas as it is in the air.